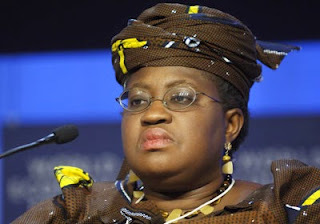 As the nation grapples with the dwindling revenue occasioned by the dip in oil prices, the Co-ordinating Minister of the Economy and Minister of Finance Dr. Ngozi Okonjo-Iweala has disclosed that the federal government lost huge revenue to tax holidays fraudulently granted companies by officials of the Nigerian Investment Promotion Commission (NIPC). The minister's disclosure was contained in a recent letter to NIPC Executive Secretary, Mrs Saratu Umar. “The purpose of this letter is to appraise you on apparent abuse in the grant of Pioneer Status (tax holiday) to companies in the country by the Nigerian Investment Promotion Commission (NIPC) leading to decline in tax revenues," wrote the minister in the letter which was copied the Minister of Petroleum Resources, Mrs. Deziani Alison-Madueke, and her Industries, Trade and Investment counterpart, Olusegun Aganga. Even though the minister didn't state how much revenue was lost to the activities, a top official of the Revenue Mobilisation and Fiscal Allocation Commission (RMFAC) told ThisDay that Nigeria may have lost over $20 billion between 2010 and 2014. The minister noted that while oil companies were supposed to be taxed 65 per cent in accordance with the Petroleum Profit Tax Act (PPTA), certain officials of NIPC had fraudulently listed such companies under the Industrial Development (Tax Relief) Act and handed them pioneer certificates. She further reminded that Tax Relief Act remained a "subsidiary legislation" to the Companies Income Tax (CITA) she said was the "Principal Act." According to the minister, "Pioneer status (tax holidays) was granted to companies whose products do not meet the requirements of the list of industries or products specified in the schedule to the Act." She further noted that NIPC officials granted tax holidays "for a straight five year- period, contrary to the provision of Section 10 of the Act which states that the tax relief period for a pioneer company shall commence from the production date of the company and shall continue for a period of three years in the first instance, and may be extended for a period of one year and thereafter for another one year, or for a period of two years subject to the satisfaction of Mr. President that certain requirements such as rate of expansion, standard of efficiency, level of development of company, among others, are met." Okonjo-Iweala regretted that, in some instances, NIPC granted Pioneer Status in arrears leading to beneficiaries of such demanding refund of the taxes already remitted into the Federation Account. To the minister, such loss of revenue base, erosion and profit shifting (BEPS) led the Thabo Mbeki-led Panel on Illicit Financial Flows from Africa to estimate that Nigeria and other African countries lost an estimated $60 billion. The minister listed what she described as "a typical abuse of the Pioneer Status Policy" involving Seplat Petroleum Development Company (SPDC) and Nigeria Petroleum Development Company (NPDC), operators of the same oil fields previously operated by Shell Petroleum Development Company (SPDC). "While SDPC disposed of its interest to Seplat, NNPC disposed of its interest to NPDC. Seplat, thereafter, was granted a tax holiday whereas NPDC continued to pay taxes from the operation of the same field," noted the minister, stressing, "This confers an unfair advantage on Seplat." An official of the ministry told THISDAY that between 2010 and 2014, at least 15 oil companies were granted such tax holiday, and that the new NIPC boss has had a running battle trying to withdraw them. "Until recently, several fat cats in NIPC were neck-deep in this fraud and made hundreds of millions of US Dollars at the expense of Nigerians. Any wonder the new ES, in trying to re-organise the place, is locked in a running battle with the syndicate?" questioned the official. The Executive Secretary of NIPC could not be reached as she failed to pick her calls or respond to SMS enquiries.